The trip to the 15th edition of MiFB on 21 June 2014 was very fruitful. Below are the findings based on my conversations with the participants and some observations. The Holstein Milk Company Sdn Bhd: The company has plans to introduce Greek yogurt and the new Greek yogurt will be launched soon. Holstein Milk, which sells under the Farm Fresh brand, has to launch Greek yogurt or else it will miss the boat. The Sri Lankan food company Prima Group is trying to make inroad into the Malaysian instant noodle market, which is currently dominated by Malaysian and Indonesian players with Singaporean and South Korean companies taking a small share of the market. When I asked them about their product USP, they said it was the spicy flavour. Even though Malaysian love spicy food, I am not too convinced spicy flavour is a strong USP for the brand to differentiate from other players. Malaysians do not have a strong connection with Sri Lanka except for Malaysians of Sri Lankan origins who arrived during the 19th century. Perhaps Prima can target this niche group. Granny’s Recipe is going to be launched in Tesco. The company is willing to accept lower margin in exchange for higher volume. At the moment, Granny’s Receipe White Curry Noodle is only available at NSK and other smaller supermarkets. The entry into Tesco will see Granny’s Recipe competing directly with the new Maggi Royale Penang Seafood Curry Noodle, which has just been launched in the market. MyKuali, the market leader in white curry, remains comfortable selling through smaller retailers. When asked why Granny’s Recipe didn’t use the word Penang on the packaging, the reason was the company wanted to go international and avoid competing directly with MyKuali Penang White Curry Noodle. This is an interesting market. Bangladesh’s Pran Foods has a booth right next to the main entrance. 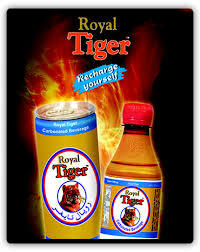 The company has already entered the Malaysian market and its products are no stranger to local consumers. Apart from Pran, two other Bangladeshi food companies Hasheem Foods (Sajeeb Group) and Globe Soft Drinks also participated in the fair. Understandably, the two companies showcased similar products – juices (mainly mango) and energy drinks. You get the impression Bangladeshi companies are strong in mango juice.As for energy drinks, their packaging really need an extreme makeover if they want to penetrate the international market. China’s Huiyuan promoted its Jiamila range of halal fruit juices at the fair. I did mention Jiamila in one of the earlier posts. Jiamila is aimed at the Muslim market. According to the person I spoke to, the company was currently in talks with several distributors to launch Jiamila in Malaysia. Expect to see Jiamila fruit juice in the store near you in the distant future. 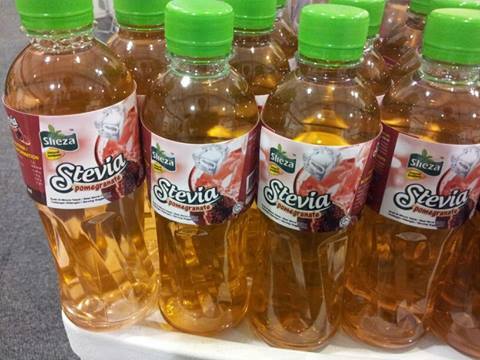 Stevia can be found in many Malaysian-made products in juice concentrate and juices targeted at diabetic. The Sheza stevia is sold directly to hospitals and to individuals. The company behind the Sheza line has just introduced the pouch version to more it more cost effective to transport. The other product that uses stevia is the bitter gourd juice concentrate, which does not have the taste bitter. The concentrate contains honey from Yemen and saffron. The bitter gourd juice claims to solve your health problems. 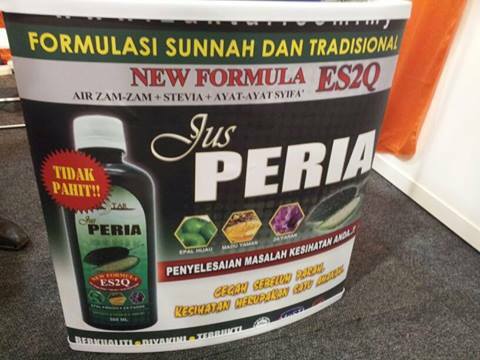 The awareness about stevia seems to be quite high among the Muslim communities in Malaysia compared to the Chinese because stevia is popularity used in products sold by direct marketers targeted at Muslim consumers. 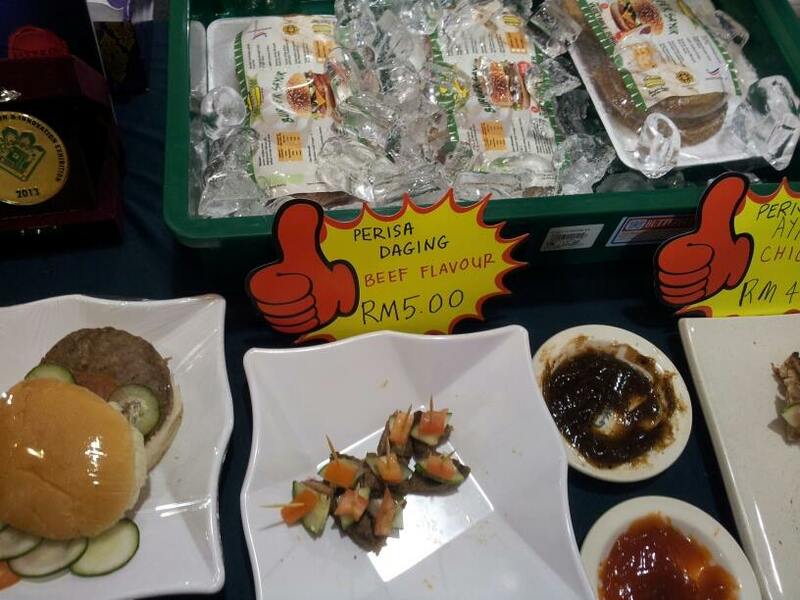 The new vegetable burger, which is still not available in the market, made an appearance at the fair. Vegeburger is unique because it is made from nangka or jackfruit, not soya. There is no jackfruit taste but does have the meat texture. 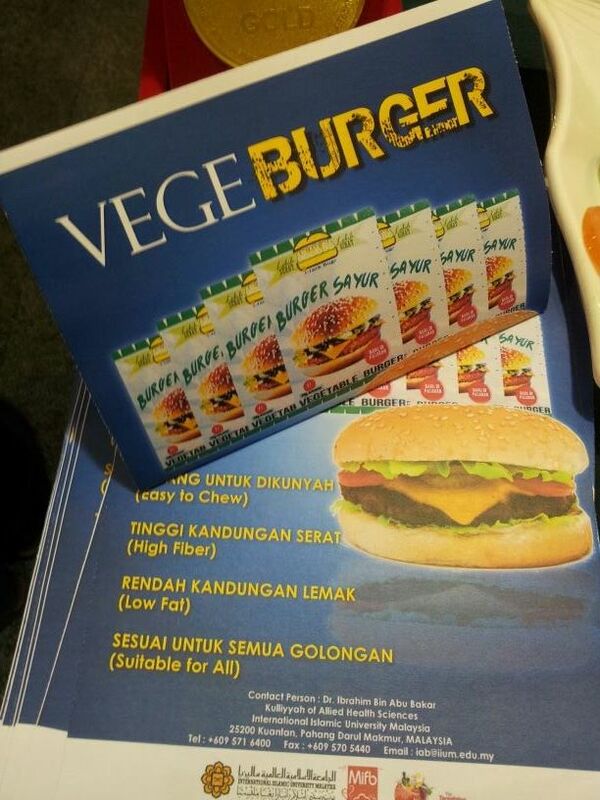 The vegeburger is developed by an International Islamic University Malaysia lecturer. What this vegetarian product shows is there is a small but rising number of Muslim consumers who are now beginning to go for a vegan diet. 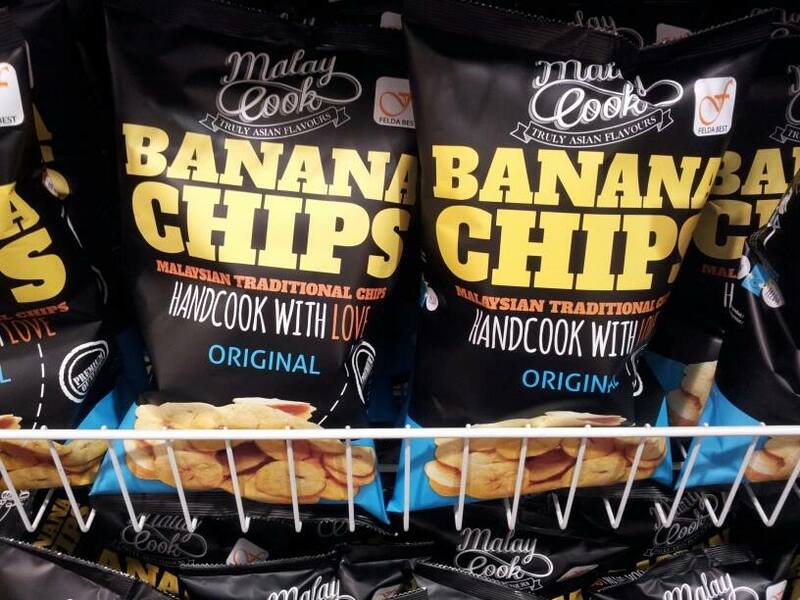 Felda showcased its banana (traditional / original) and tapioca (original) chips for the international market. The packaging does give a premium look, which is a strong contrast to the cheap positioning of similar products for the Malaysian market. My suggestion is go for this premium positioning in Malaysia to appeal to urban consumers who are willing to spend on premium chips. Taiwan Beer is looking for a Malaysian distributor for its flavoured beer products. Bamboo salt is the next big export for the South Korean food industry. Even my mom asked me to buy bamboo salt when I was vacationing in South Korea. Bamboo salt is positioned not only as a superior cooking salty but as a health supplement. Tropicana Slim: This Indonesian brand from Nutrifood famous for products suitable for diabetic people will enterTesco soon.